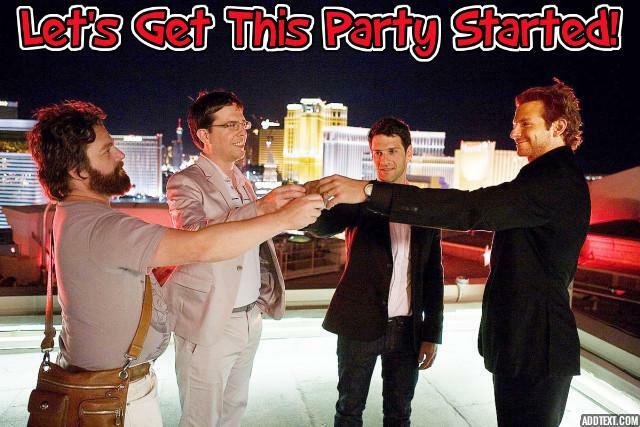 Let’s face it, no party would be complete without alcohol. Friendsgiving is most certainly no exception to this rule. With all your friends getting together to celebrate, whether it is on the Friday after your typical family affair or in place of the traditional turkey dinner on Thursday, you need to step up your cocktail game. Friendsgiving parties can be pretty difficult to throw, and if you want to throw a party that your guests will remember forever, for all of the right reasons, you’ll need to ensure that not only is your food up to scratch, but also that your beverage selection is up to scratch. Fantastic Friendsgiving cocktails for example, are absolutely essential, and will make all of the difference to the overall feel of your party. Some parties might have cheap beer or cider in cans, sitting out on the side going warm because there isn’t enough space in the fridge. The truth is that, although they drink it, the guests will want something more…substantial. And fun. If you are on a budget, why not ask each guest to chip in, say, $20 or so to cover food and drink. If you’re looking for ideas and suggestions, take a look at these delicious (and boozy) Friendsgiving cocktail ideas for you to try yourself. As your party will almost certainly be thrown in November, chances are that the weather will be distinctly cool and far from warm, so your guests may want a little something to warm them up. 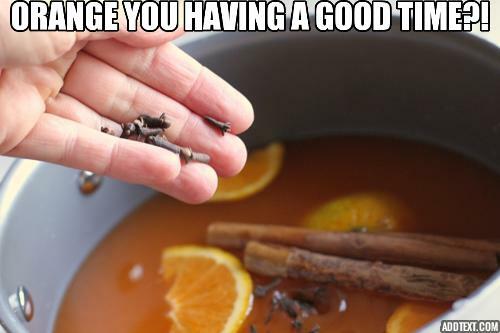 This warm, spiced orange cider is absolutely ideal. You can also make this in a slow cooker and leave on the warm setting throughout the party. Take a large cooking pot and pour in your orange and mango frozen juice. Fill the can with water and add to the pan before turning the heat to medium. After the mixture has melted down, turn the heat to low and add your whole and powdered spices. Leave on the lowest temperature setting and heat for at least 40 minutes, for all of the spices to infuse. Turn off the heat and leave to stand. Around 15 minutes before your guests are due to arrive, turn the heat back on, heat the mixture gently making sure it doesn’t boil, and add the cider and bourbon and continue to very gently heat for two minutes. Then it is ready to go. Punch is perfect for large parties as it allows you to create vast quantities of cocktail on a large scale, well ahead of time. This tropical punch is perfect, even though the weather may be cold and dark outside, when you taste this Friendsgiving cocktail you’ll feel like you’re laying on a beach in the middle of the Caribbean. Be warned, this cocktail is plenty strong. Take your fruit and carefully slice it as needed, preferably into neat slices and chunks. Add them to the base of your storage container and pour over your bags of ice. Next, take all of your alcoholic beverages and pour them into the container. Now, take all of your non-alcoholic drinks and again, pour them all in – there’s nothing fancy or difficult about this cocktail, but it gets the job done. Finally, give everything a good stir, make sure you have a serving ladle and plastic cups on hand, and leave to stand. The longer you leave it, the more the fruit will infuse with the alcohol so the nicer it will all taste. 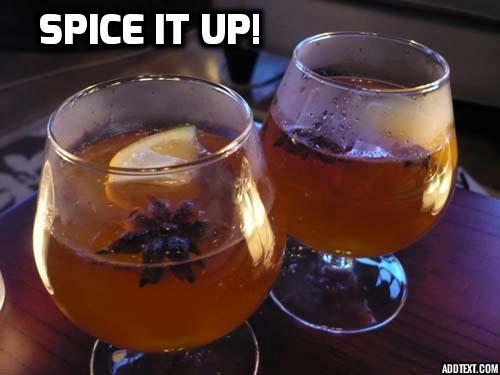 The day after a family Thanksgiving, you might need some warm, spicy cocktails to get you back into the mood for partying. The combo of hot water, whiskey, honey and hot sauce will wake up your taste buds, cool off your raging headache and calm your insides for another day of feasting. To make this for a crowd, just layout 10-12 cups, pour a bit of whiskey in each one, add the tablespoon of honey to each, along with a cinnamon stick. Then, when the guests arrive, boil a full teapot and pour in each cup as guests request one. Put out a few different hot sauces on the bar, so guests can pick and choose which they want. Some less adventurous types will decline the extra heat. They can stir it all together with cinnamon sticks. For the mulled wine spices, you can buy a pre-mixed package or make your own. Typical fall spices will suffice, like nutmeg, cloves, ginger and allspice. Basically anything that goes into a pumpkin or apple pie will work just fine. If you go the make-your-own-route, tie up the mixture in small cheesecloth. That way, when you dump in the apple cider, red wine and cinnamon sticks to the slow cooker, you can just drop the spice packet in. Turn to the warm setting, let it sit for a few hours and you will have a hot, delicious drink for your guests.